The FDA regulations allow manufacturers of any food product with less than 0.5g of trans fat to list “0g” on the nutrition label. With that much leeway, it’s hard to know exactly how much trans fat you’re eating. For example, just two tablespoon servings of a margarine containing partially hydrogenated oils, but labeled 0g trans fats, can contain up to almost 1g of trans fat. Eat a few pieces of toast at breakfast with two servings of one of these margarines, and you’re half way to your AHA recommended daily limit by the end of breakfast. After hearing for decades that “fat is bad,” you may think that it’s best to eat as little fat as possible. In fact, experts agree that fat is an essential part of any healthy diet, as long as the fats are the right ones and are consumed in the right proportions. “Good” fats can help reduce artery-clogging cholesterol and some good fats can even help maintain healthy skin and are vital for brain and eye development in babies. Monounsaturated fats (canola, sesame and olive oils and avocado) and polyunsaturated fats (fish oil and corn, safflower, sunflower, flax and soybean oils and seeds) are excellent choices. Of course, even “good” fats are calorie-dense, so eat them in moderation to maintain a healthy weight. “Bad” fats, also known as saturated and trans fats, are linked to elevated cholesterol levels, so you may think you should limit or eliminate them. However, not all bad fats are all bad. Saturated fats, while they can raise bad LDL cholesterol can also raise good HDL cholesterol. Moderation is key, some saturated fat in your diet can be part of a healthy diet. Choose lean meats and low-fat dairy products instead of their full-fat counterparts to avoid eating too much. Artificial trans fats on the other hand provide no nutritional benefits and can cause the most harm. Even foods that boast 0g of trans fat can have up to 0.49g per serving. Four servings and you’re near the AHA recommended daily limit of 2g. Avoid any processed foods containing hydrogenated or partially hydrogenated oils, and watch your intake of sweets and snacks. We aim to use healthier blends of fats to support healthy cholesterol levels that are already within the normal range and our buttery spreads have the lowest amount of trans fat that nature allows. For years, dietary fats were considered off limits. But we’ve learned that monounsaturated and polyunsaturated fats can actually be good for you in maintaining healthy cholesterol levels that are already within the normal range. These fats also contain many important antioxidants. 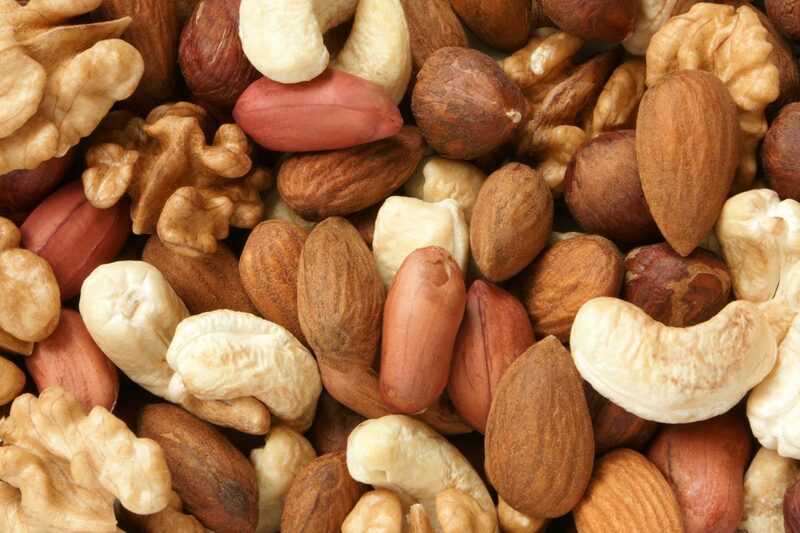 Monounsaturated fat is found in olive, canola and sesame oils, avocados, nuts and products made from them, especially almonds, walnuts, pecans and peanuts. You’ll find polyunsaturated fats in corn, cottonseed, sunflower and flax oils and in the nuts and seeds that produce these oils. Soybeans and soybean oil are also excellent sources of polyunsaturates. Can they be part of a healthy diet? Saturated fats have gotten a lot of bad press in recent years because certain types of these fats can increase your total and “bad” LDL cholesterol. Although diets should remain low in saturated fat, small levels of saturated fat as part of an overall healthy diet are needed to help balance monounsaturated and polyunsaturated fatty acids in the diet and to maintain a healthy ratio of LDL to HDL cholesterol. Typically, saturated fats are found in high amounts in animal products—meat, butter, full-fat dairy—and in many fats and oils, especially coconut oil, cocoa butter and butterfat. Cocoa butter is used to make chocolate, and a high butterfat content is what makes super-premium ice creams so rich. Limiting these foods to special occasions is a good idea. We are prohibited from disseminating healthcare advice via email or our website. If you have a question, please call 316-788-3741. If it is a medical emergency please call 911.